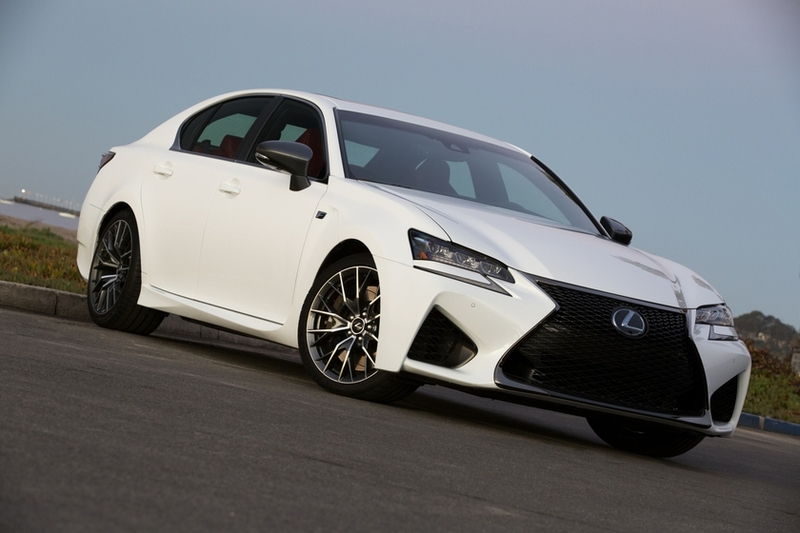 TORONTO, ON – June 12, 2018 – Lexus invites Canadians to experience the dramatic styling and formidable power of the 2019 Lexus GS F – the high-performance luxury sedan that pushes the limits of excitement. “The GS F is an exhilarating driving experience, distilled into a beautiful luxury sedan,” said Jennifer Barron, Director of Lexus in Canada. “The GS F places incredible power and handling at the driver’s command - whether it’s cruising on the highway or doing hot laps at a track weekend. And it does this in a bold, beautiful design that combines brave styling with progressive luxury and comfort." The GS F has been tested – and proven – on some of the world’s most challenging tracks. This includes its home track of Fuji Speedway in Japan, which is the source of this sedan’s “F” designation. With this pedigree, it’s no surprise that power and performance take centre stage. An assertive and sophisticated, 467 horsepower 5.0 L V8 lives under the hood. This naturally aspirated engine is mated to an eight-speed automatic transmission with sport direct shift and steering wheel-mounted paddle shifters for finger-tip control, delivering power to the rear axle through a Torque Vectoring Differential. Drivers may adjust the Torque Vectoring Differential to three operating modes: Standard for a balance of agility and stability, Slalom for emphasis on nimble steering response, and Track to achieve consistent hold during acceleration. In addition, a drive mode select system lets drivers tailor the GS F’s response to their mood and road conditions. The GS F’s Adaptive Variable Suspension works to absorb vibrations on rough roads, reducing body roll during cornering and maintaining ideal composure during acceleration and hard braking – letting drivers direct the GS F to seamlessly flow from one maneuvre to the next. Massive Brembo brakes deliver the high-tech stopping power that’s essential in a high-performance luxury vehicle. Tailored specifically to the GS F, these feature six-piston monoblock front calipers and four-piston rear calipers, plus 13.5” rotors with a fast-cooling slotted design. Curbside, the 2019 GS F is instantly recognizable as an F model. The signature Lexus spindle grille is massive, and finished in a distinctive mesh pattern. It’s bracketed by pronounced air vents that aid with cooling the brakes, as well as aggressive Premium LED headlamps and L-shaped LED daytime running lights. In profile, the GS F sits low to the ground, a stance emphasized by its 19” wheels. At the rear, stacked quad exhaust diffusers and a carbon fibre rear lip spoiler convey the GS F’s aggressive strength. Other exterior features include, a power tilting/sliding moon roof, power assisted trunk closer, rain-sensing wipers, an auto-levelling headlamp system with headlamp washers, and more. The 2019 GS F is offered in seven colours – including, new for this year, Liquid Platinum. Inside, the GS F’s cabin expresses the look and feel of a jet fighter cockpit, embodying high performance in every detail. LED ambient interior lighting sets the scene, while high-back “F” branded front sport seats clad in perforated leather provide optimum holding performance. Carbon fibre interior trim punctuates the GS F’s aggressive bearing, while aluminum pedals with anti-skid slits ensure solid contact between foot and pedal, even during high-spirited driving. For 2019, Lexus guests may choose from two interior colour schemes: Black or Circuit Red. The GS F is a high-performance sedan – but a luxurious one, too. Driver and passengers enjoy the convenience of intuitive three-zone climate control with the Climate Concierge system, heated seats, and heated steering wheel. Front seats are power adjustable, ventilated, and include a memory system. The driver-focussed cabin features an advanced instrument panel, including a large, centrally-mounted tachometer, a differential torque vectoring monitor, a G-Force monitor, and a race-inspired gauge display. The Head-Up Display projects real-time information on the lower driver-side windshield, including speed, gear selection, and turn-by-turn navigation. The 12.3” LCD multimedia display presents at-a-glance access to the audio, voice-activated navigation, climate control systems, and more – including the back-up camera. Meantime, the 17-speaker Mark Levinson Premium Surround Sound audio system delivers a powerful soundtrack for every drive. Other features include an integrated garage door opener, easy access memory system with push button start, a power rear window sunshade, intuitive parking assist, clearance and backup sensors, and more. The GS F also delivers high-performance safety, starting with Lexus Safety System +. This bundle of active safety technologies (pre-collision system with pedestrian detection, lane departure alert with lane keep assist, dynamic radar cruise control, and automatic high beam system) is now standard equipment on 98% of all new models Lexus offers in Canada. LSS+ supports the driver’s awareness and decision-making under a variety of traffic conditions and contingencies. The 2019 GS F is also standard equipped with Vehicle Dynamics Integrated Management, which predicts and helps prevent skids, and operates in four modes – including Expert Mode for drivers who want to hone their drifting skills. Other standard safety technologies and systems include the Blind Spot Monitor with Rear Cross Traffic Alert, 10 airbags, a direct tire pressure monitoring system with auto location, an onboard first aid kit, and more.